A kind elderly lady once shared with us that honey is very soothing to the intestinal tract and it cools down the body naturally, without side effects. 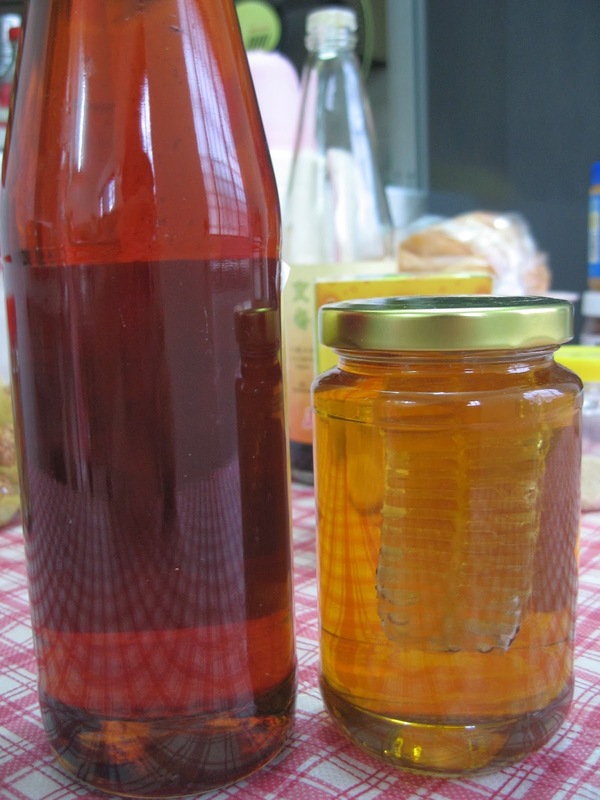 However, she cautioned that one must ensure that the honey is genuine, otherwise it does not work. So how do we know whether we have bought the real McCoy? 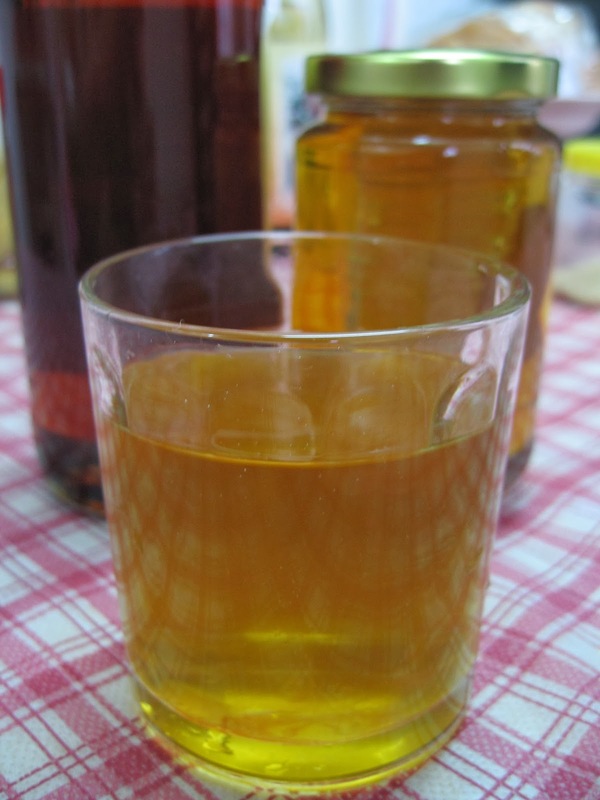 While visiting the honey bee farm - Panyu, in Guangzhou, we were taught on how to differentiate real honey from fakes. 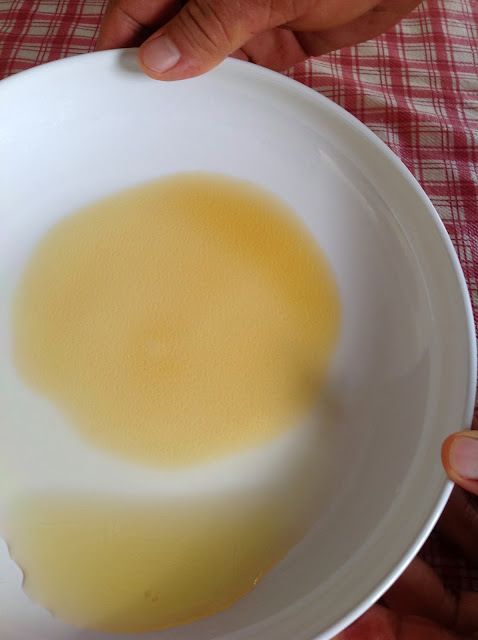 First, you pour some honey onto a flat surface of a large plate. Add some water and swirl the water around. If the honey dissolves instantly, then it is not genuine. For genuine honey, the swirling effect of water will leave a honeycomb pattern on the patch of honey. 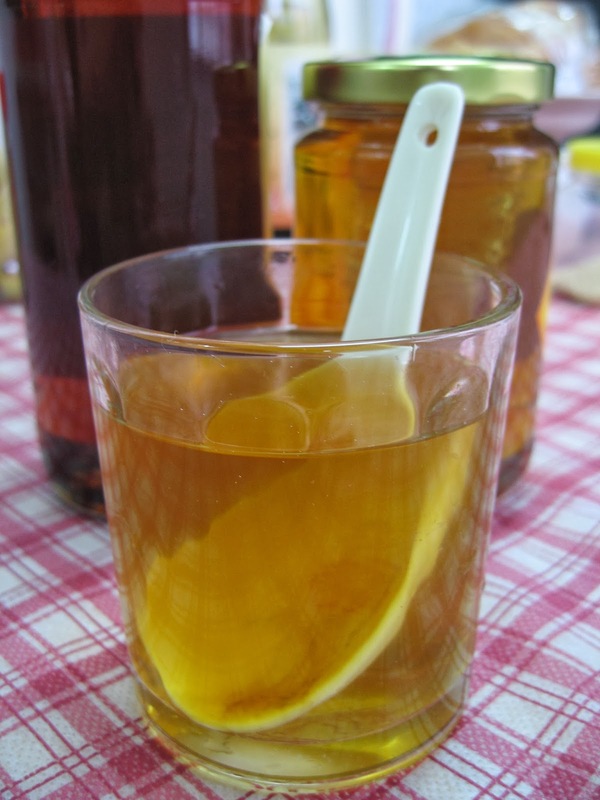 When drinking honey, make sure the utensils you use are made of either porcelain, ceramic or glass. DO NOT use metal utensils as it is believed that honey will lose its potency once it comes into contact with metal. Therefore, do not use metal spoons, cups or bowls when drinking honey. Secondly, make sure the water you use is at room temperature. You must not use hot, warm or ice-cold water. I am sharing this because pure honey works effectively for me and my family. Every time when I have a headache or sore throat caused by over indulgence of hot and spicy food, a drink or two of pure honey would cool me down. I do not have to take painkillers or antibiotics to cure the headache or sore throat. Of course, honey works slower than painkillers. But if there is a natural remedy for my ailments, I would prefer the natural way, always. I love honey... thanks for sharing the interesting info. Dear Doris, thank you so much for being so generous with all that you are sharing here.